We provide current scientific information, research, and education on the conservation of New Mexico biota and natural resources to government, business, land managers, scientists, and the public. Find data for over 600 rare or endangered plant and animal species, tools for conservation and project planning, and statewide conservation plans. Get information on our conservation research, monitoring, and inventory projects across New Mexico and the Southwest. The New Mexico Environmental Review Tool (ERT) is an interactive tool for conservation planning and New Mexico Department of Game and Fish (NMDGF) review of important resources for wildlife and habitats. 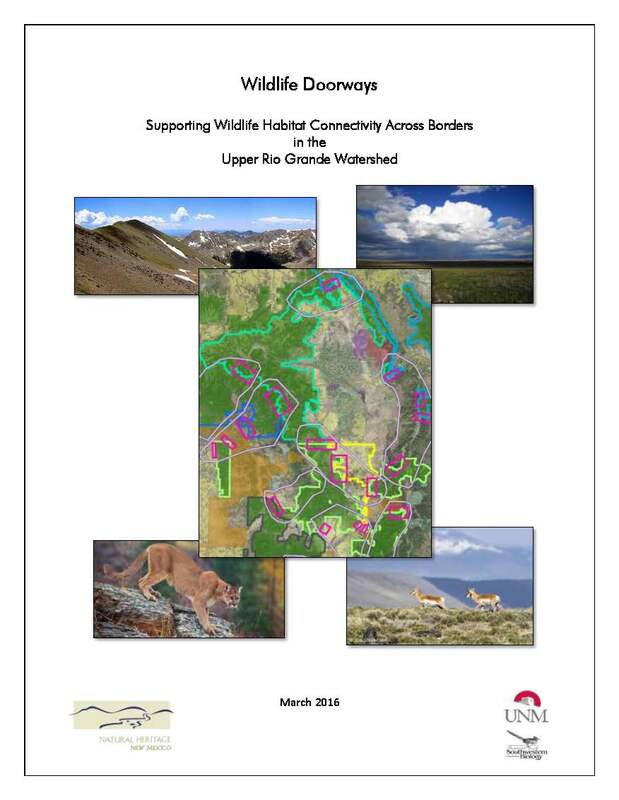 The ERT provides conservation information on wildlife and habitat diversity, protected lands, and other natural resources, and allows users to submit proposed projects for review of potential impacts to species status species and their habitats in New Mexico. Natural Heritage New Mexico provided technical support and consultation to assist the Forestry Division of the New Mexico Energy, Minerals, and Natural Resources Department (EMNRD) in creating The New Mexico Rare Plant Conservation Strategy. The Strategy includes the best available science to identify 235 rare and endangered plant species in New Mexico, including 109 species that only occur in New Mexico and nowhere else in the world.